When Lashbrook first approached us in 2015, our goal was to help them outshine their competition. What has happened has been even more extraordinary – their competition no longer feels like competition. 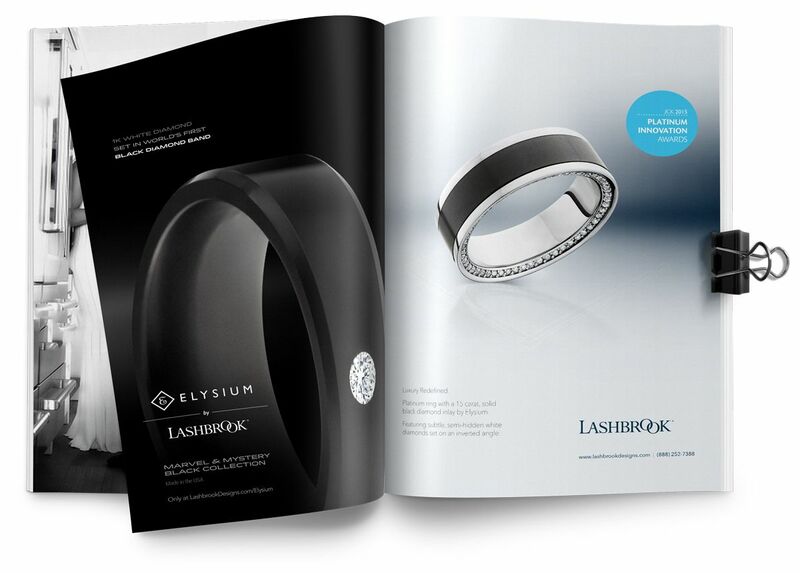 Over the past year, Lashbrook has seen 30% growth and has been dwarfing other specialty ring companies at trade shows and in total revenue. 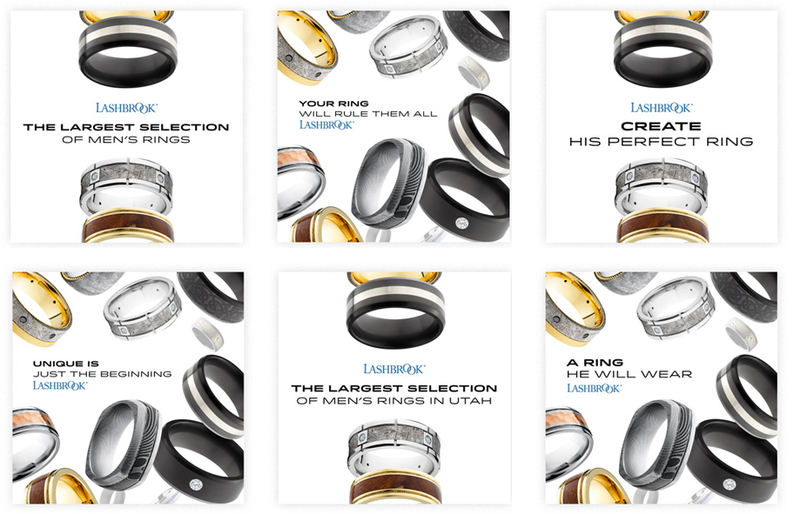 Because we are designing for a product that is itself well designed, our focus has been to create tasteful design solutions that complement the rings and allow them to speak for themselves. It has been said that great design is invisible. As far as we are concerned, the results are visible enough for the both of us. Determining the best ways to promote this bling-bling was a bit of a challenge. We explored dozens of slogans, ad hooks, and campaign ideas and we tested our favorites to determine which of the good ideas were great. The ads seemed to ring true with people because page likes increased by over 300 and Lashbrook’s posts increased their reach by 3×.